Disney's Peter Pan characters are here! Peter Pan, Tinker Bell, Wendy, John, Michael, Smee, Cubby, Tootles, and Tic Toc. 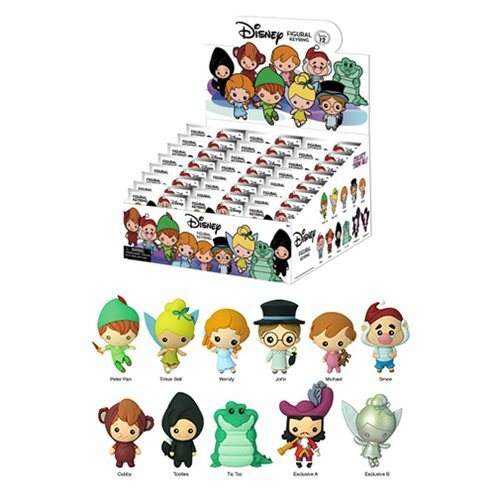 Chase figures include special versions of Captain Hook and Tinker Bell! Disney's Peter Pan characters are here for you to collect. The assortment features some of your favorite characters from the Disney classic, and be sure to keep an eye out for the rare and special chase figures! Ages 4 and up. No breakdown available at this time.